4 February 2019, London: Tristan Capital Partners’ latest opportunity fund, EPISO 5, has made its first investment together with Timeless Investments, with the acquisition of an 18,000 sqm multi-tenant office complex in Amsterdam offering multiple development options on site, for about €54 million, from Dutch investment manager APF and Lingotto. Tristan’s operating partner Timeless Investments has a significant stake in the deal. 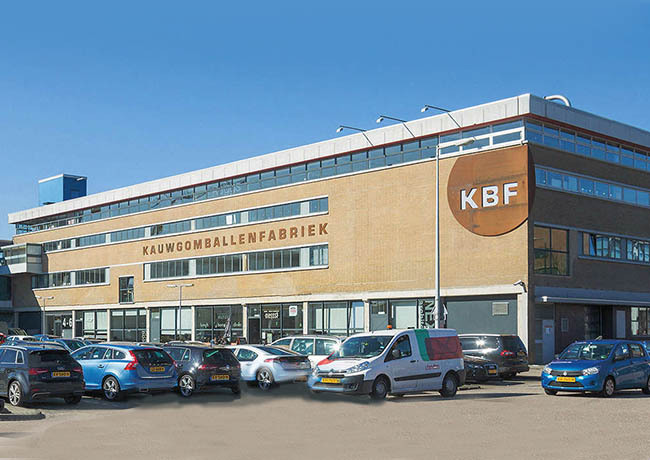 The Kauwgomballenfabriek (KBF) consists of five buildings located in the Omval area of the city, on the eastern side of the Amstel River. A former chewing gum factory and industrial site, which has been transformed into creative multi-tenant offices over the past few years. The area has now been designated as a mixed office/residential development zone by Amsterdam’s planning authorities to meet the city’s burgeoning demand for business space and accommodate its population growth. The KBF Complex is well-located for accessibility, close to two metro stations and 1.5 km from the Amstel station; one of Amsterdam’s main railway and transport hubs. KBF also sits on the edge of the city’s ring road, providing fast access to the motorway network and all the other major urban centres in the Netherlands and is only ten minutes’ drive from Schiphol Airport. The original Maple Leaf chewing gum factory at the site opened in 1948 and after various mergers and acquisitions closed in 2003. It remained vacant until 2006, when it was acquired and redeveloped into a multi-tenant office complex. EPISO 5 and Timeless Investments were advised by Appelhoven Vastgoedadviseurs and Houthoff on the acquisition. APF and Lingotto were advised by CBRE and Osborne Clarke.